Privacy and long range mountain views surround this custom THREE story cabin! 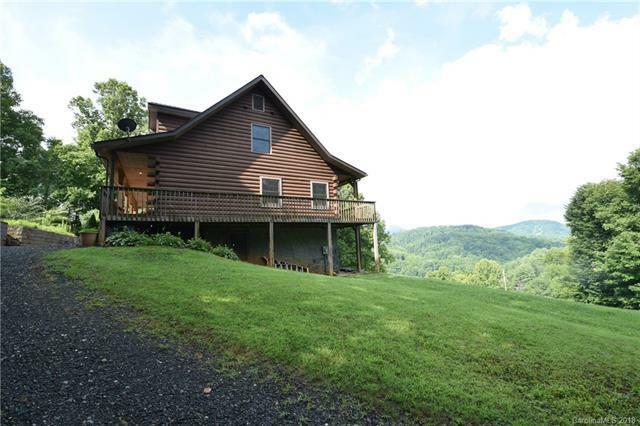 Perfectly placed on top of a rolling mountain side this home capture's the best views and a cool breeze, imagine 920sqft of wrap around porches!! Centerpiece two story great room with stone stacked wood burning fireplace & leads to the kitchen & dining room. Fantastic master suite. Two extra large bedrooms upstairs + game area loft. Lower level has large family/game room with a wood burning stove + two additional rooms + full bath! One unfinished 14x14 room could be easily finished or used as a workshop. This property is perfect for huge family gatherings or the ever expanding family! Call for details!